The Duke and Duchess of Cambridge visited Manchester to attend the Children’s Global Media Summit at the Manchester Central Convention Complex. The summit looks to inform and redesign the future of media for this generation and explore the impact that digital technology will have in children’s futures. The summit brought together creative’s, technology innovators, policymakers, executives and thought leaders from around the globe. The royal couple was welcomed by an eagerly waiting group of school children with their favourite cartoon characters. The first stop in today’s itinerary was the BBC Children’s department to see how the BBC runs interactive workshops called “Stepping Out” sessions. The session was a focus group where young people were able to give children’s editorial staff & content producers their view of how they respond to new programmes. 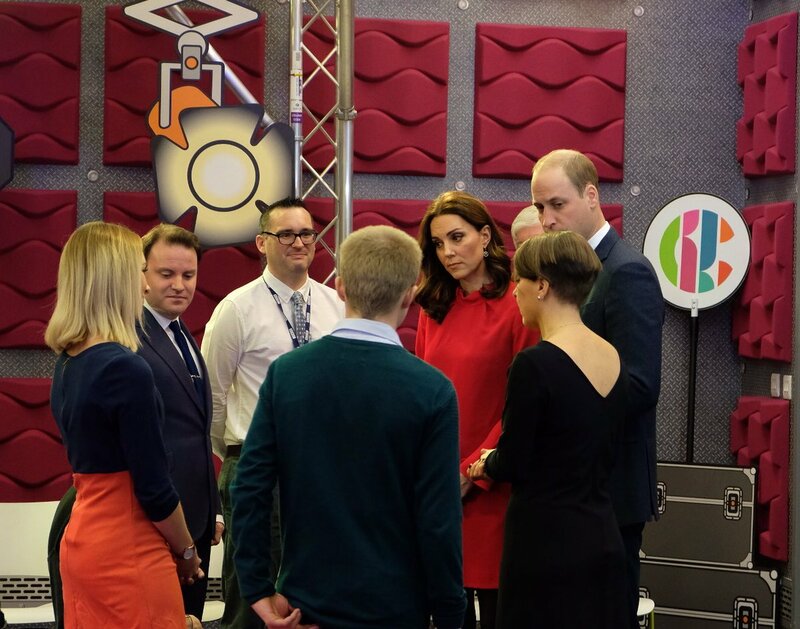 At the Stepping Out session, The Duke and Duchess took part in a Question-Answer with a young person – Josh, who featured in a Newsround special telling his story of his mental health challenge. Next, The Duke and Duchess took part in a feedback session with young children from The Friars Primary School. They have a chance to talk about mental health and how it affects them or how they try to cope with it – to help inform TV programming. At The Children’s Global Media Summit Their Royal Highnesses had a brief discussion with delegates who discussed the future of media and explore the impact of digital technology in children’s lives. Before the summit the Duchess attended a “Sesame Workshop”, hosted by the team behind the children’s TV programmes Sesame Street. The workshop is the charitable foundation of the famous children’s TV show, on research commissioned into kindness – a method used to help very young children express issues of emotional wellbeing. While Duke of Cambridge Prince William also attended short private meeting related to the Cyber Bullying Taskforce to continue efforts to find a universal tool for children to report bullying when they see or experience it. 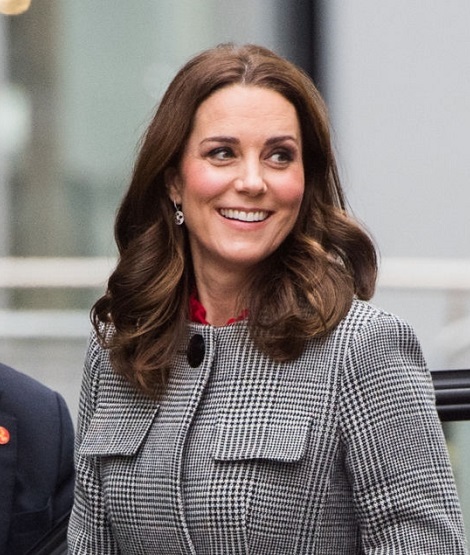 For the visit to Manchester city, Duchess of Cambridge kept her look totally chic and elegant. She wore L.K. Bennett Delli Check Coat. 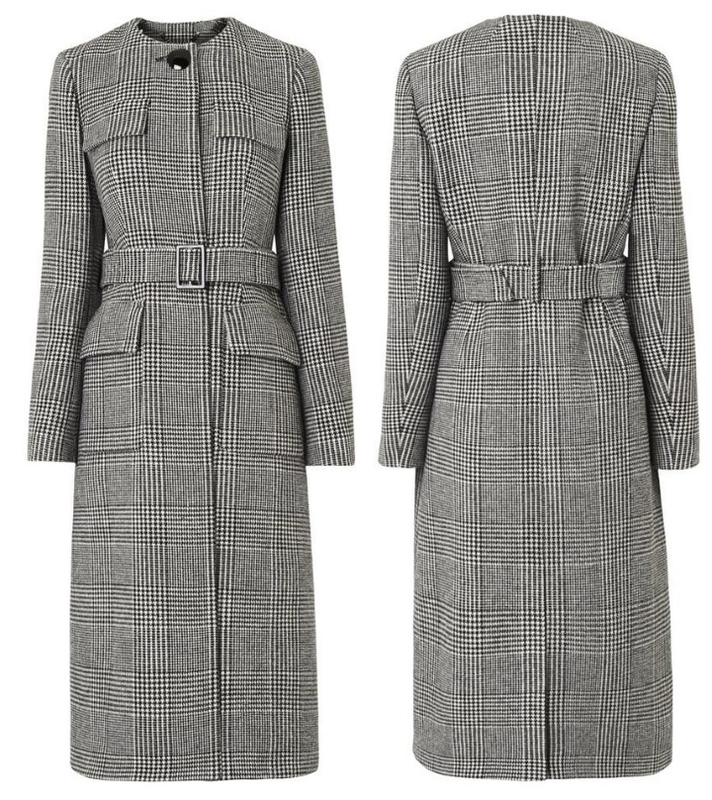 Described as, “The Delli coat is a smart essential, cut from a fine houndstooth weave in virgin wool. Uncluttered by design, it has a crew neckline, concealed button-down front and military flap pockets. Its flared skirt, falling to the mid calf, looks great with knee high boots underneath” the coat is available online at L.K. Bennett for £495.00. Underneath the coat Duchess Kate wore berry coloured GOAT Elodie Tunic Dress. Feminine and flattering the Elodie dress in vibrant red has been intricately crafted to offer a chic and stylish fit. A tunic dress with exquisite pleat detail on the sleeves and a gathered funnel collar is currently available at GOAT store for £450.00 in berry, blue and Persian green colourways. Duchess paired her outfit with TOD’s Block Suede Pumps that can be bought for $462 at MyTheresa and carried Mulberry suede black clutch. 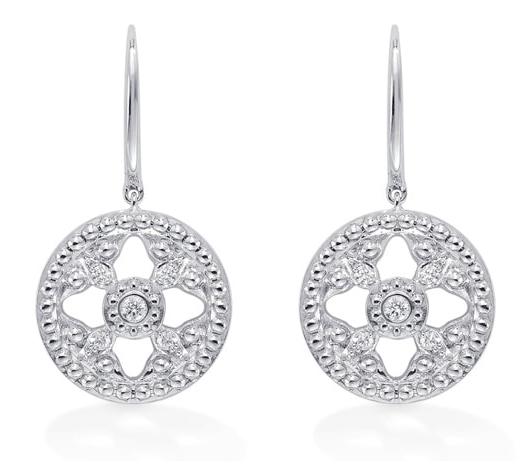 Mappin & Webb Empress earrings finished today’s look. 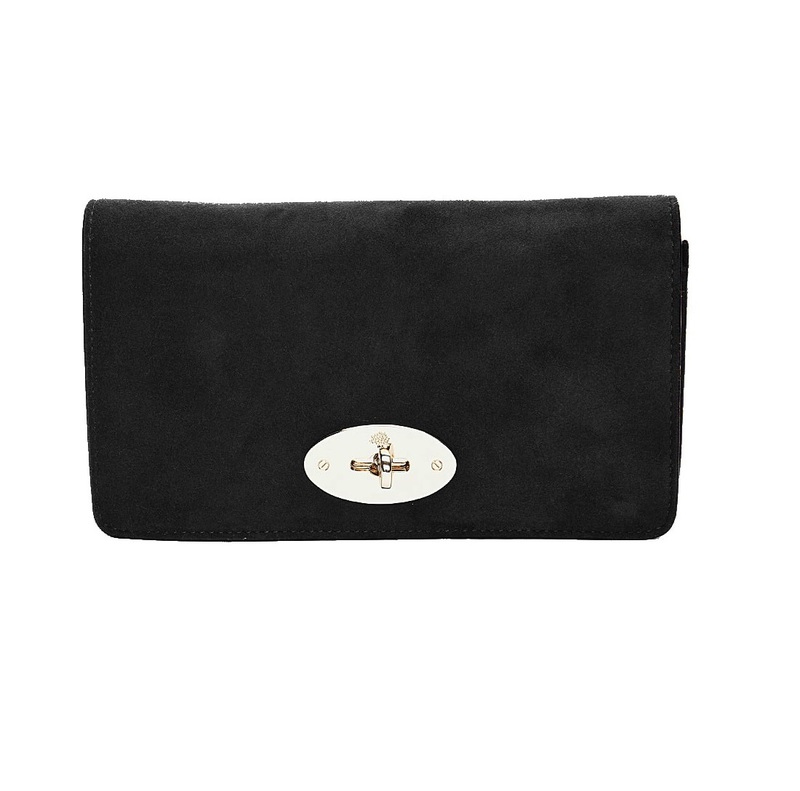 Duchess was also seen wearing Imogen – Merino Wool Gloves.